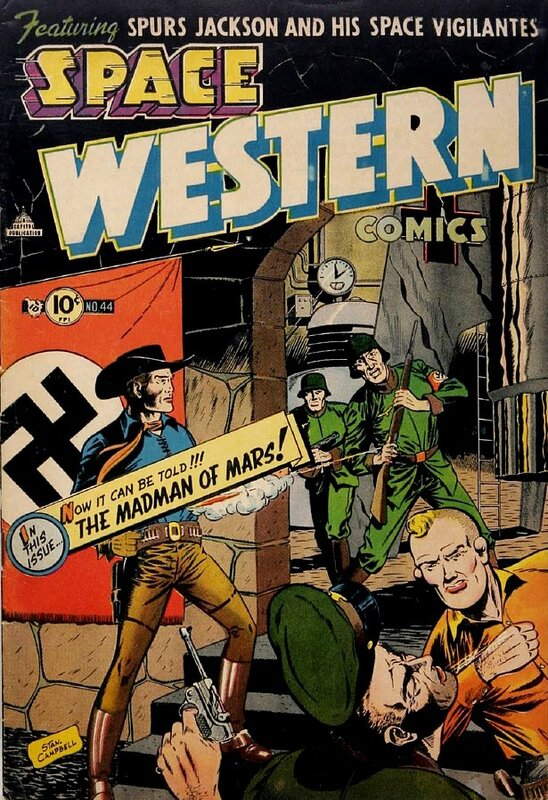 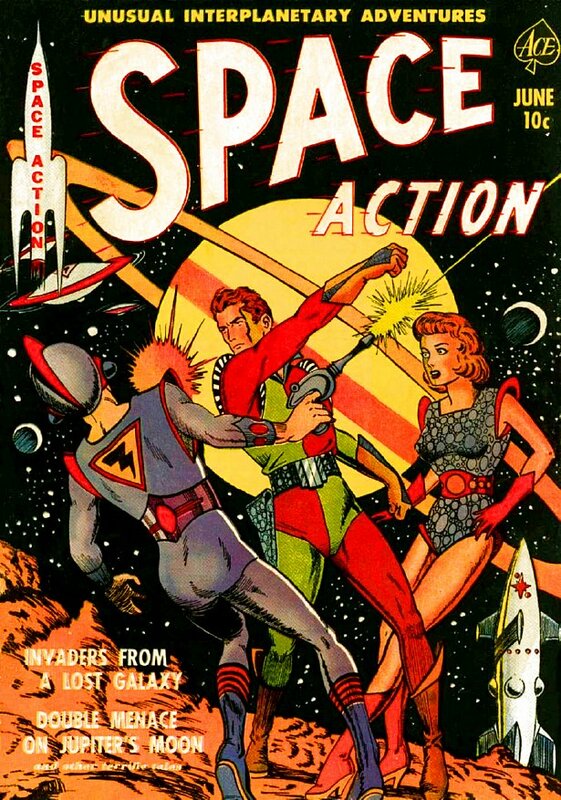 03:16:13 -- PICTURES OF THE WEEK: From 1952, comic books emphasizing adventures in space -- replacing previously dominant western and war themes (although "Space Western" seemed to cover all three). 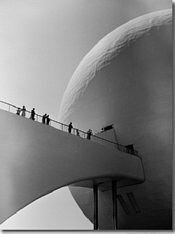 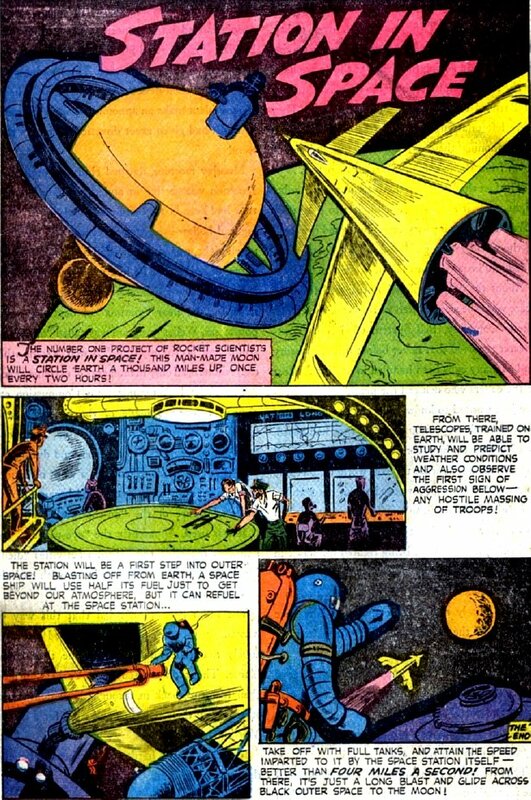 The space comics were visions of the future -- the first orbital satellite would not launch until five years on, and the first human orbital flight was still nine years distant. 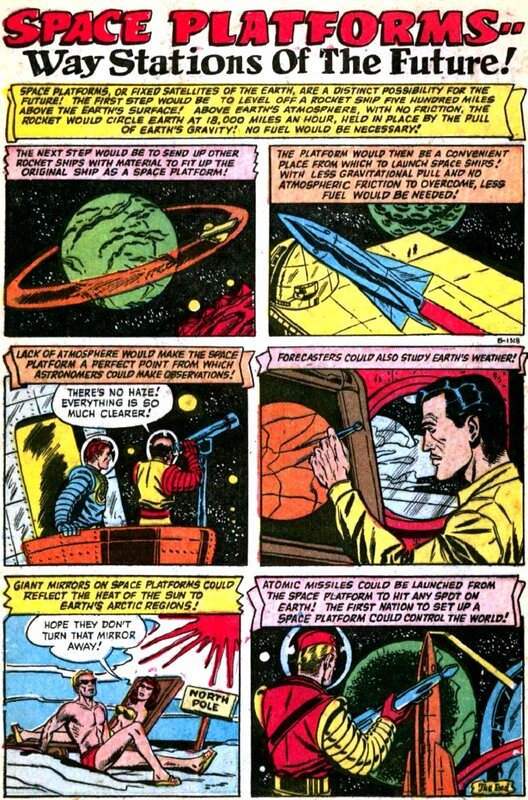 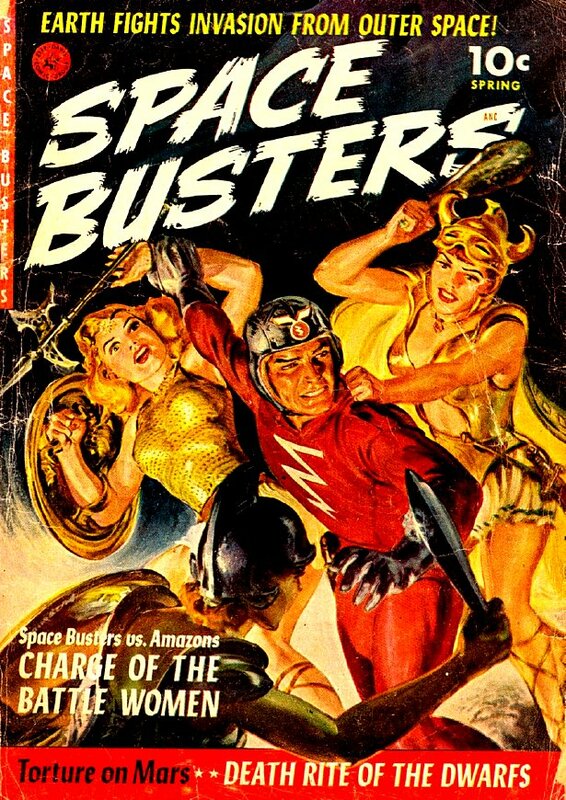 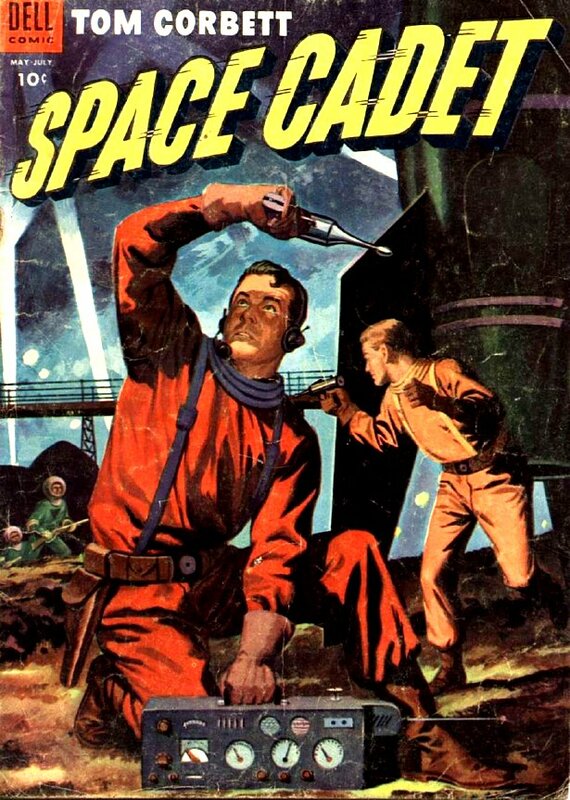 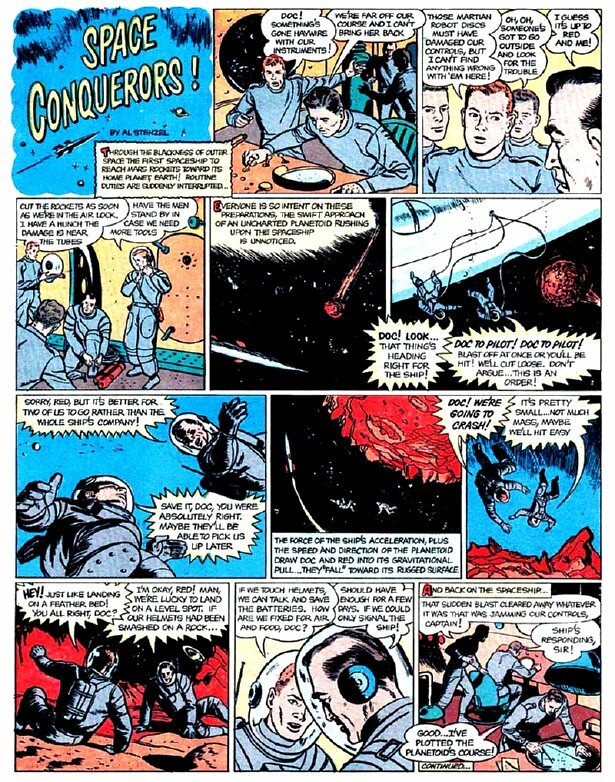 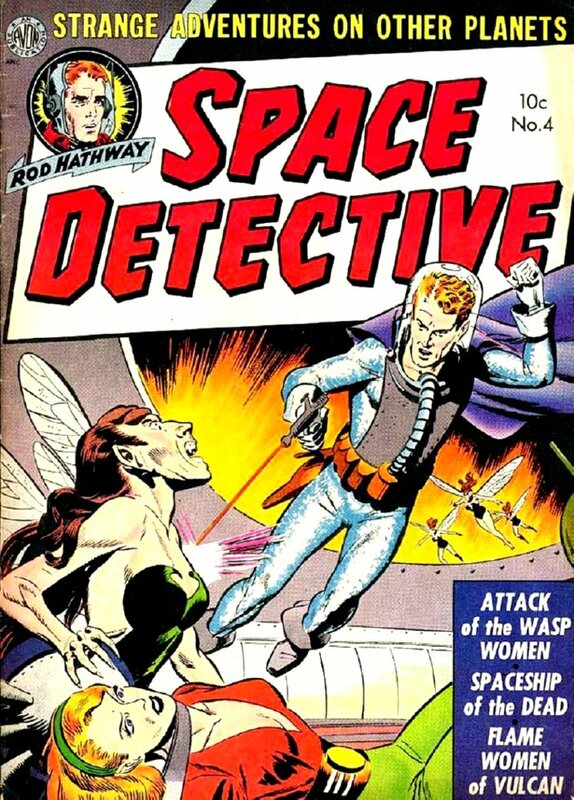 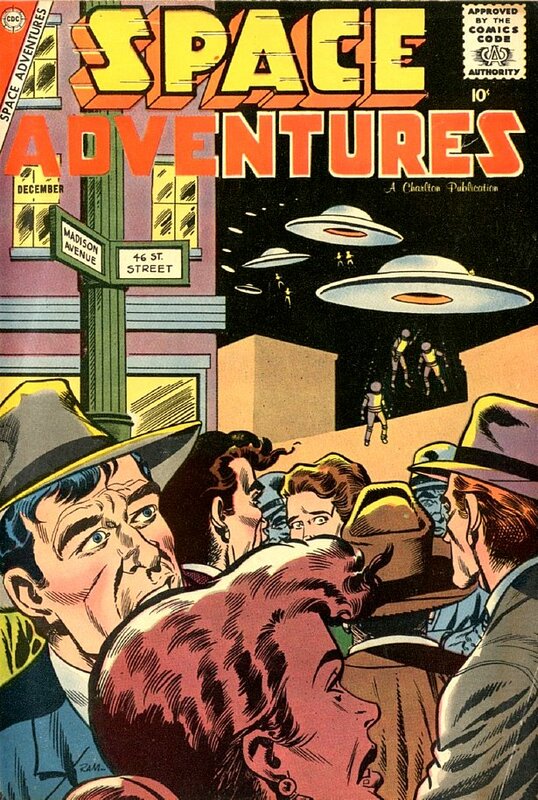 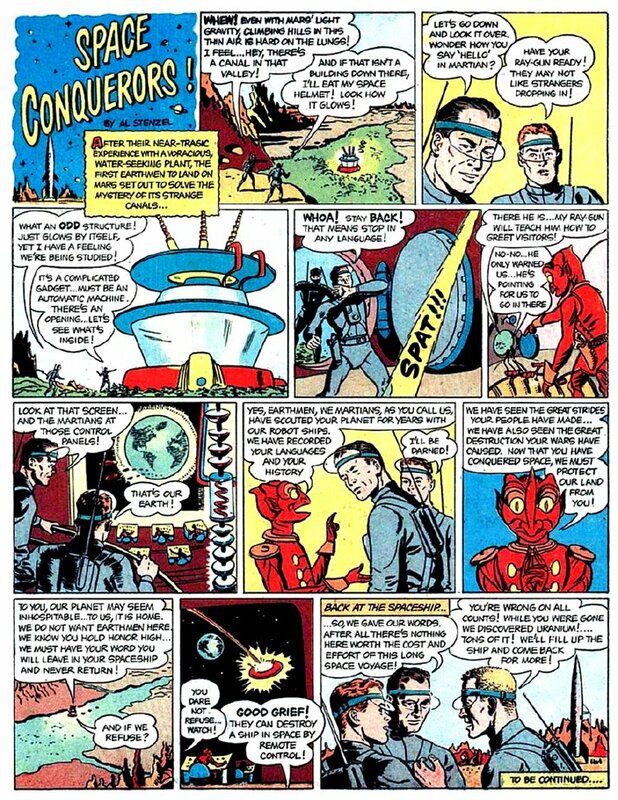 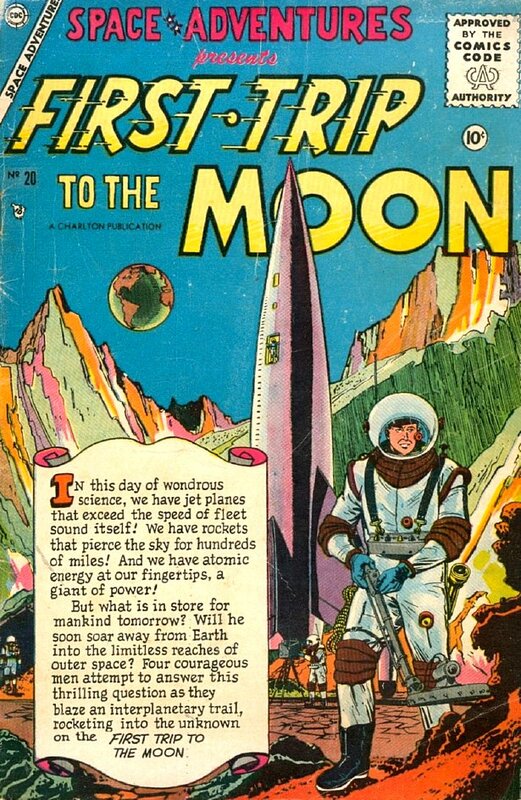 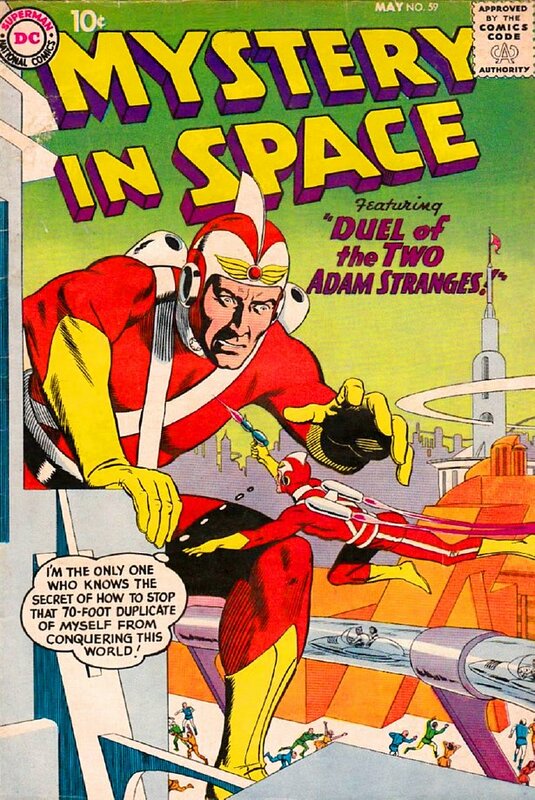 Besides sci-fi adventures, 1952 comics also ran features and even entire issues that were turned over to more serious takes on the subject of space exploration. 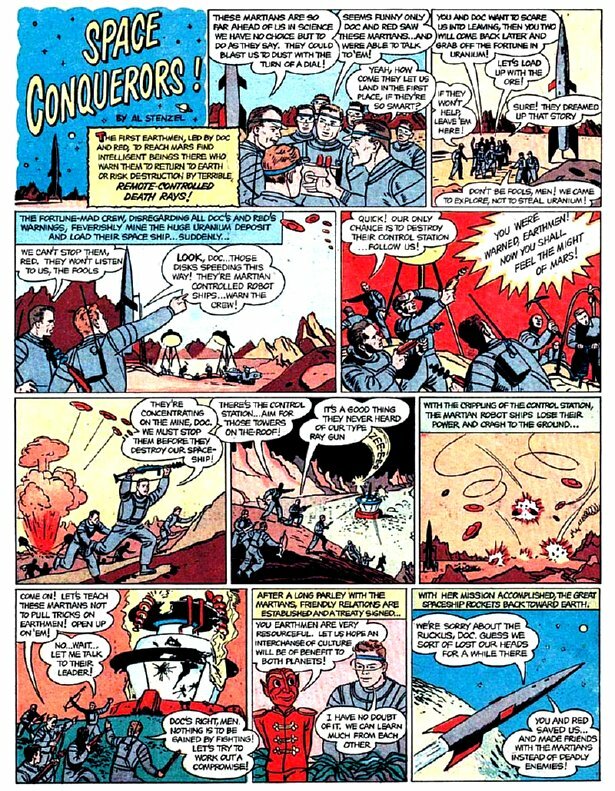 03:23:13 and 03:30:13 -- PICTURES OF THE WEEK: From 1952, the first four months of a new comic strip introduced into Boy's Life, the monthly publication of the Boy Scouts of America. 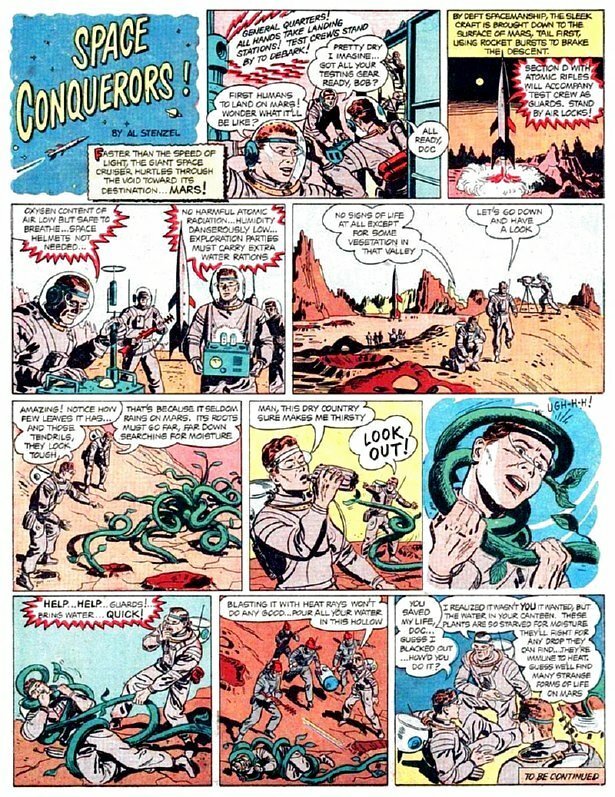 The series began in September of that year.